Ambika Cotton Mills Ltd (ACML), incorporated in 1988, is a Coimbatore, Tamil Nadu (India) based company involved in cotton yarn manufacturing. ACML is listed on both Bombay Stock Exchange and National Stock Exchange in India. ACML specializes in manufacturing of premium quality compact and Eli Twist yarn, which is used in making premium shirts. Company uses extra-long staple (ELS) cotton in its yarn manufacturing by importing high quality Giza and Pima cotton from Egypt and US respectively. ELS fiber provides extra strength while keeping the yarn thin. Thin yarn finds usage in premium quality cloth of higher counts. Ambika Cotton Mills Ltd has the capability to manufacture yarn for counts varying from 24’s to 140’s allowing it to break free from the commodity products of single count of other spinners. ACML is one of the established players in supplying yarn to almost all premium shirt manufacturers around the world. One of the readers asked me to write in detail about my reasons for investing in Ambika Cotton Mills Ltd. I am holding the company since September 2014. I still invest in ACML because I found that ACML is growing at a healthy growth rate while maintaining its profitability margins. It has been increasing its production capacity without deteriorating its capital structure. I find that Ambika Cotton Mills Ltd’s products have good demand in the market, which it is able to cater to by selling higher quantities at increasing prices. ACML has been realizing its profits as cash and utilizing this cash productively in capacity expansion and paying off debt. ACML has created higher market value for its shareholders for each INR of profits retained by it. After comparing Ambika Cotton Mills Ltd with its peers, I find that ACML provides an opportunity of investing in a conservatively financed consistent growth story with healthy profitability margins at attractive prices. ACML also offers a healthy margin of safety for its shareholders. After analyzing management of ACML, I find that it has a competent management that believes in company’s future and cares about shareholder’s interests. All these qualities present Ambika Cotton Mills Ltd as a good investing opportunity to me and I have been consistently increasing my investment in the company. Below is my analysis of ACML, where I have done as per the framework described in my article “Selecting Top Stocks to Buy”. I have divided the analysis into four parts: Financial Analysis, Business Analysis, Valuation Analysis and Management Analysis. Let’s delve deeper into it. 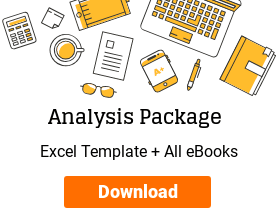 I have used the framework provided by me in the article: How to do Financial Analysis of a Company to analyze ACML’s financial statements for determining whether it has a sound financial position. We can see that over last 10 years (2005-14), Ambika Cotton Mills Ltd has increased its sales at a healthy rate of 21% per annum. It has been able to maintain its operating & net profit margins (OPM & NPM) at healthy levels of 20-22% and 8-10% respectively. When we would compare NPM of ACML with its peers later in business analysis, we would realize that ACML has one of the best profitability margins in the industry. General corporate tax rate applicable in India is 30%. However, textile sector has been getting various tax incentives from Govt. to promote exports. Ambika Cotton Mills Ltd has been utilizing these incentives and paying tax at varying rates of 20-30% over the years. This healthy tax paid rate can be used to infer that company has been paying taxes due to it, which is a healthy sign. Ambika Cotton Mills Ltd has been maintaining its leverage levels within comfortable levels of serviceability. Interest coverage ratio has always been more than 3 and is increasing recently. This is a sign of a healthy company. Debt to equity ratio of Ambika Cotton Mills Ltd has been reducing consistently from 2.5 in 2008 to 0.3 in 2014 as the company is using the cash generated from profits to pay off its debt. I like such companies, which use the profits to improve their capital structure. Decreasing debt levels reduce interest costs and thereby improve the profitability of the company. If you revisit the profitability table above, ACML’s net profit margin increased from 6% (2012) to 10% (2014), which is the direct result of decrease in debt of the company. Current ratio of Ambika Cotton Mills Ltd is currently 1.3 and has been consistently above 1 meaning that current assets are sufficient to take care of current liabilities. We can see that Ambika Cotton Mills Ltd has been consistently generating cash from its operations and using it for capital expenditure and paying off debt. If we refer the Debt to Equity ratio above, it would substantiate this conclusion as debt of ACML reduced from INR 260 Cr. (2.60 billion) in 2011 to INR 70 Cr. (0.70 billion) in 2014. I prefer to keep such companies in my portfolio that generate cash from operations to take care of investments and debt servicing. If we compare the cumulative PAT and CFO for last 10 years (2005-14), we realize that Ambika Cotton Mills Ltd has collected cash more than its profits. It indicates that the company is able to collect its profits in cash and it is not stuck in receivables & inventory. It is a good sign for a healthy company. After analysis of financials of Ambika Cotton Mills Ltd for last 10 years (2005-14), we realize that it is growing at a healthy growth rate while maintaining good profitability margins. ACML is able to increase its sale by capacity expansion without overly leveraging its balance sheet, as it has been using cash generating from operations to pay off its lenders. Company is in a comfortable debt-servicing situation, which is reflected by its healthy interest coverage ratio. I have used the 5 parameter highlighted by me in the article: How to do Business Analysis of a Company to analyze ACML’s business performance to determine whether it has a business advantage. We see that Ambika Cotton Mills Ltd has outperformed most of its peers over last 10 years (2005-10) without compromising on its profit margins. Its net profit margin (NPM) is one of the best in the industry. As discussed during financial analysis, we can notice that the growth of ACML has not come at the cost of impairment of capital structure. ACML is one of the most conservatively financed companies in its industries, which is reflected by comparison of its D/E ratio with its peers. The above table indicates that the sales growth achieved by Ambika Cotton Mills Ltd over last 10 years has been contributed equally by product price increase (measured by revenue per spindle, assuming each spindle produced same amount of yarn in 2005 and 2014) and increased quantity of product sold (measured by production capacity). This is a good sign that ACML is not relying solely on product price increases to achieve sales growth but also expanding its reach in consumer markets by selling higher quantities. We can see that though the profit margin has been fluctuating over the years, it has still been able to maintain it at respectable levels of 8-10%. Profit margin decreased during 2008-10 due to higher interest cost consequent to capital expenditure done by company on capacity expansion as well as on wind power generation. Company now generates 110% of its power requirement by wind energy, thereby protecting itself from risks of fluctuating power cost and availability. The above table reflects that the profits of Ambika Cotton Mills Ltd are flowing to the company as cash. Profits are not being stuck in the receivables and inventory. This is a good sign. We can see that Ambika Cotton Mills Ltd passed the test of creating at least one INR of market value generation for its shareholders for each INR profits retained by it over last 10 years. Upon testing ACML at all the 5 parameters to judge the business performance, we can safely conclude that it has passed on all the five parameters. It has demand for its products in the market that it is able to tap by selling higher quantities and able to pass on increase in its costs as higher prices to its customers. Its profits are not being stuck in receivables & inventory and are realized as cash. The cash generated is being utilized productively in capacity expansion and debt reduction and it has created equivalent market value for its shareholders. I have used the framework provided by me in the article: How to do Valuation Analysis of a Company to analyse ACML’s share market data for determining whether it is available at attractive valuations. At February 6, 2015, Ambika Cotton Mills Ltd is available at a P/E ratio of 6.6, which is cheap when compared with its peers. If we see the whole package of conservatively financed growth rate while keeping healthy profitability margins, ACML comes out to be a clear winner among its peers. If we compare the PEG ratio in the above table, we come to the same conclusion that ACML presents a case of healthy growth, which is available cheaply in the market. 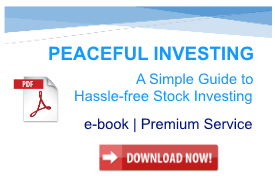 This is a one of the desirable quality of an investment worthy stock. At P/E ratio of 6.6, Ambika Cotton Mills Ltd provides an earnings yield of 15.2%. If we compare it to the 10 year government securities (G-Sec) yields, which are currently in the range of 8.0-8.5%, then we realize that, as per Benjamin Graham’s teachings, ACML presents a good margin of safety for the investors. This margin of safety might provide a cushion to the price fall and might help to restrict the capital loss that an investor may suffer by investing in ACML. I am not a big advocate of referring to P/B ratio for manufacturing companies. P/B ratio is relevant for companies operating in financial services. However, as it is one of the widely tracked measures of value and has been promoted by Benjamin Graham as well, I would analyze ACML for its P/B ratio as well. P/B ratio of ACML at February 6, 2015, is 1.04. P/B ratio of 1.04 is within the conservative valuation levels as per Graham. ACML paid a dividend of INR 12.5 for FY2014. At current price (February 6, 2015) of INR 528, it provides a yield of 2.4%, which is a decent yield. After doing the valuation analysis of Ambika Cotton Mills Ltd and comparing it with its peers, we realize that ACML provides an opportunity of investing in a conservatively financed consistent growth story with healthy profitability margins at attractive prices when compared to its peers. Simultaneously, ACML also provides a healthy margin of safety for its shareholders. ACML is promoted by Mr. P.V. Chandran, who is an entrepreneur. He plays an active role in the management of ACML. The board consists of seven directors. Three directors are of promoter’s group, three are independent directors and one nominee director of the lender (IDBI Bank). The composition of board and presence of nominee director indicates presence of sufficient oversight. Web search about Mr. Chandran and other directors did not reveal any negative information. Mr. P.V. Chandran has introduced his two daughters into the board of directors. Mrs. Bhavya Chandran was inducted in FY2008 and Mrs. Vidya Jyothish was inducted in FY2012 in the board as directors. Mr. Chandran is currently about 65 years of age and it is assumed that he would be able to train his daughters in the business before he takes retirement from active management of the company. As per FY2014 annual report, Mrs. Bhavya Chandra and Mrs. Vidya Jyothish were paid remuneration of INR 60,000 and INR 45,000 for the year, which is not exorbitant by any means. The above table reflects that the remuneration of Mr. Chandran has been fluctuating in line with the profits of ACML. Mr. Chandran’s remuneration increased in FY2014 after the company recovered from the decline in profits witnessed post FY2011, when it doubled its profits from INR 24 Cr. to INR 48 Cr. His remuneration is about 2.5-3.0% of net profits which when compared with other promoter directors of Indian firms is reasonable. Many other Indian companies have promoters who draw remuneration almost at 8-10% of net profits. ACML promoters & managers have increased its production capacity from about 6,000 spindles in early 1990s to 109,872 spindles currently. Company has also installed wind power generation capacity of about 27.4 MW over the last decade. These instances reflect that the promoters and management have good project execution skills. This experience would be useful for further capacity expansion projects that would be essential for future growth. We can see from the above table that as net profits of the company have increased over the years, the dividend paid by Ambika Cotton Mills Ltd to its shareholders has also increased. In fact, dividend payout has increased at a higher rate than profits. This pattern indicates that the company is rewarding its shareholders by sharing the outcome of its growth over the years. This is one of the signs of a shareholder friendly management. I draw a lot of comfort when promoters buy shares of their own companies. I believe that no one knows about a company better than its promoters do. Therefore, when promoters buy shares, investors should buy too. Ambika Cotton Mills Ltd has 0.37% FII shareholding at December 31, 2014. ACML was hampered with power crisis in the state of Tamil Nadu during 2007-2009 when companies were directed to draw only about 60% of the allotted power. ACML took a timely step and started installing wind power generation plants to shield it from such issues in future. Currently, ACML has 27.5 MW of wind power generation capacity, which is sufficient to meet entire current power requirement of the company. This is also a sign of the timely steps taken by the management to deal with business hurdles. After analyzing management of Ambika Cotton Mills Ltd, we can notice that it has a competent management, which cares about shareholder’s interests and believes in company’s future. Mr. P.V. Chandran seems to have put in place a succession plan, which would enable the next generation to take over the company by the time Mr. Chandran retires from the day-to-day management of ACML. I am a bottom-up fundamental investor following value-investing approach for stock selection. I do not focus on any particular industry while picking stocks for investing. Therefore, you would notice that I have not discussed a lot about industry growth projections and supply & demand scenarios etc. I believe in investing for long-term time horizon during which many cycles of supply & demand would pass. If a company has good product and competent management, then it would be able to survive tough times and generate wealth for its shareholders. I agree with Peter Lynch that moderate fast growers (20-25%) in non-growth industries are ideal investments. Stock investing is full of uncertainties where assumptions might take long time to materialize. There might be times when a company keeps on performing exceeding well, but the markets might keep on ignoring it for years. Moreover, the price may fall and investors may start questioning their analysis. However, every market correction in the past has been followed by a full recovery and investors of good companies have been highly rewarded. Therefore, an investor should buy stocks of a fundamentally good company and stay invested. There is no price target for Ambika Cotton Mills Ltd in this report. It is deliberate because I agree with Nobel Laureate Nils Bohr, when he says, “Prediction is very difficult, especially if it’s about future.” I believe that ACML has what it takes to grow its earnings in future. If it could succeed in growing consistently, then market would recognize its potential and reward it with high stock price. However, when it is going to happen is anybody’s guess. It might take a few months, years, or more. Nevertheless, credit rating agencies have started to recognize the strong performance of Ambika Cotton Mills Ltd. Credit rating agency CARE Ltd has consistently upgraded ACML’s rating from BBB+ (2012) to A- (2013) to A (2014). Each rating upgrade lowers the cost of debt for ACML and smoothens its future growth path. Therefore, the gist is “Buy Right & Sit Tight”. Hi Vijay, I am a banker by profession and am a Credit Manager in ME with an MNC Bank. Your post has provided great insight into every aspect of company analysis. I am sure that I’ll be able to use the same in my day to day working. On the above case, the only concern was the dip in financial ratios in 2009 but that too was covered later on attributed to shortage of power supply. One factor that could have been covered is the aspect of sourcing since the super quality of their products and the premium they demand is basically due to the high quality of the raw materials. Is the company looking beyond these two countries especially Egypt. What is the level of dependency on Egypt for sourcing? My thoughts might be irrelevant but then supplier concentration may limit their growth going forward. All said and done, am in agreement with your analysis. Yes, the scrip does look good to get in to. Thanks for providing your feedback. I am happy that you found the article useful. You are right that details of suppliers would provide additional insights about the company. However, I could not find the related information in the public domain. The company works mainly on advance orders backed by LC (as reflected by low days of receivables outstanding) and it maintains an inventory of cotton raw material of about 100-125 cr. (as reflected in current assets). Hence I believe that ACML mostly buys and keeps required raw material in advance for visible orders. It gives me some comfort. I have started investing in stocks from 2012 with V.S.T Tillers Tractors Ltd as my first stock. Your systematic approach to finding the hidden gems is really appreciable. Thank you for the detailed report on Ambika Cotton Mills Ltd. There should be strong moat in the business, which I am not able to see here. I do not see the reason why peers shall not be able to import premium cotton (Giza & Pima) and stand in the competition to ACML. In case of Vinati Organics Ltd, it has strong technology know how in its products and globally a major supplier in its products, which is a great moat. Do you see any such moat in ACML? Thanks for your inputs! Congratulations that you have started on your stock investing journey! You would agree that Moat might have many other factors in addition to raw material. It can be good management, relationship with suppliers or customers, distribution network, good labour relations and many more. In my analysis I do not try to find out each and every contributing factor leading to moat. However, I try to analyse the financial results to find out whether these numbers speak of presence of any moat. In ACML, the reported numbers speak of a moat. Some factors leading to moat can be found out from publicly available information. Other can be learned if an investor talks to the promoters. I have not interacted with promoters for finding out moat. Hi Vijay, As usual a great detailed article. Thanks for sharing. Where can we find the customer list of ACML? Their website says nice premium shirt segment. But doesn’t provide the names of the customers, their geography etc. Would appreciate if you can throw some light on this. The details about customers of ACML is not available in the public domain. However, as mentioned by you, the only information disclosed by the company is that, its material is used in almost all the premium shirting brands. You may contact the company directly to get customer details. Why should the margins not go further down from here? Do we know the reasons why margins reset from 25-30% to 20-22%? Do we have the list of major customers? Do we know which customers are likely to give repeat orders for a fairly long time? Margins may very well go down further. Cotton is an agro-commodity whose prices keep on fluctuating a lot. Company maintains good amount of inventory of cotton, which may shield raw material price impact for a short period, but the impact will definitely be visible sooner or later. However, company has been able to maintain margins over past few years indicate that they might have some pass through mechanism for costs. The details about customers of ACML is not available in the public domain. However, the only information disclosed by the company is that, its material is used in almost all the premium shirting brands. You may contact the company directly to get customer details. Dr. Vijay, Thanks for posting the detailed analysis. One question I have the DCF analysis and as per the DCF value what is the current value. 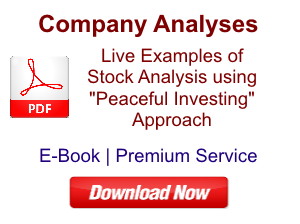 I do not rely on discounted cash flow (DCF) analysis for stock research. Therefore, I have not done DCF for ACML. If you like, you may do the DCF for ACML and share it with the readers here. Hello Vijay, I saw in Care ratings that a long term loan of Rs.325 crores for Ambika Mills which is not shown on the balance sheet. Is it that this loan is not been used by Ambika Mills?? The balance sheet is as on March 31, 2014 whereas the enhancement of debt facilities which are mentioned in CARE rating rationale dated November 7, 2014, might have happened post March 31, 2014. It would get reflected in balance sheet of March 31, 2015. The positive news is that CARE has upgraded its credit rating from A- to A, which would lower the cost of funds for ACML. Dear Vijay, First of all I would like to appreciate your selfless efforts on this selection of stock series. This is really an eye opener for novice investors like me and stimulates interest towards investing. Here is my question, you have mentioned that one of the prime criteria for valuation of stock is P/E ratio. You have mentioned that the ratio should be less than 10 whereas if we look at some of the examples quoted, Ambika cotton the P/E ratio is already higher than the industry P/E. Do you still say this stock is available on a discounted price? Can you please clarify? The Mayur Uniquoters Ltd for example is already trading at high P/E ratio, but you are still holding it. Can you please explain? Thanks for you feedback! I am happy that you found the articles useful. Mayur Uniquoters Ltd is now trading at high P/E as market has recognized its potential. I am not increasing investment in it as I am not comfortable putting fresh money at these levels. However, I do not sell any investment only because its P/E has increased. It might not give me exceptional returns in future but if its earnings keep on increasing, I expect that it will keep on giving me good returns over long term. It is like a plant which no longer needs watering, just monitoring to see if it catches any disease in future. Ambika: Though industry P/E might not be an irrelevant data point to compare, however, I do not factor it a lot in my investing decisions. I am a bottom-up investor and feel that it can give me good returns at its P/E ratio. Rest future will tell. I can be wrong as well. Hope it helps to quench your inquisitiveness. You do an analysis of CFO vs PAT to measure if PAT is translating into CFO. But, you are not deducting interest expense on CFO. This expense is being deducted in calculation of PAT. So, to really compare apples to apples, shouldn’t you deduct interest expense from CFO and then compare that to PAT (or am I missing something?). Is this is a no-growth stock that is (or was) cheap or does it have high growth prospects. Say, for example, if you look at a Kitex Garments, there is a clear case that they have penetrated their customers only to a very small extent currently, and opportunity for incremental business from the same clients is huge. Is there some kind of a similar story/ possible case in Ambika? Surprisingly, more than 50% of their total sales are to East Asia and South East Asia. I have not seen (may be my ignorance) India exporting to these countries. So, which countries do they export to? India does not have much of a cost advantage to these countries? Then, why do these countries buy from Ambika? And give it such high margins? In turn, what is the moat here? It seems to be something more than low cost advantage which makes it interesting. Exports to Europe were INR 15 crores in 2013 and INR 26 crores in 2014. Making in India and selling in Europe is a very compelling proposition generally. Is there a lot of untapped growth opportunity there? Any idea of the current capacity utilization. Any idea if the management is open to meeting shareholders for discussion. Broadly speaking, interest & depreciation are deducted from PAT which are not deducted from CFO. (There are some other changes as well, but for conceptual discussion lets limit the discussion to these two). You would notice that due to interest and depreciation adjustment, normally CFO should be bit higher than reported PAT. Therefore, it become significant when CFO is less than PAT over long periods of time. One should not interpret too much into PAT v/s CFO for shorter periods as the company may be facing tough times. However, over long periods (say 10 years) CFO should not be less than PAT, otherwise there is some issue which should be analyzed in detail. Cumulative CFO and PAT are easily available data and can give an understanding of company’s working capital management in a glance. The past financial data indicates that the stock is a growing at 15-20% per year and utilizing its enhanced production capacities well. Whether an investor would classify it under high or moderate growth, is the investor’s choice. I do not have information about repeat business from existing clients. It may or may not be there. However, management has been able to find buyers for increasing quantities of their product consistently. Deciding about moat can be two way process. It is like finding the best student in the class. One may check all the students for their IQ, analytical skills etc. and find out which students are the best and decide that these students have moat due to xyz qualities. Or one may check the past results and see that certain student(s) have consistently topped/been in top performing students year on year in past exams (published annual financial results) and decide that consistent performing students have moat. I take the second approach. I was also impressed by the seemingly different export profile of Ambika and your concerns (which are good observations, in fact) lead me to believe that Ambika has a moat. If a company is able to make good differentiated product at competitive prices, export demand will always be there. I am not being very specific in my answer to Europe or any other market, because tomorrow the business environment is going to change for sure. And what is working for the company today may not work in future. Company is facing and will face further competition for sure. Its only honest and capable management which would be able to survive competition by introducing new products and in existing/new markets. The data shows that Ambika has good management (remember top performing student!). However, no one knows whether their current promising performance would continue in future. That would require consistent monitoring. How to Monitor Stocks in Your Portfolio? 5 You may find capacity utilization data in the annual report. 6 I did not contact management. You may try it yourself. Hope it helps to resolve your queries! Excellent analysis, Vijay! I must congratulate you on the clarity and the level of detail you have presented in the analysis. Ambika cotton mills Ltd was under my radar for quite some time in most of 2014 and could have easily bought it under 50% of today’s price. However two things stopped me, and both are comments by Warren Buffet. First one was where he explicitly mentioned that textiles was not a good business to own. Secondly, the observation that when a business with bad reputation meets management with good reputation, the reputation of business remains intact! Notwithstanding the consistently good performance of this company the fact of it being in a commodity business and in textiles made me not buy in. I’d like your views on whether there is a lesson be learnt here, or this is just the opportunity cost of discipline. Both the reasons that you have cited for avoiding investment in Ambika Cotton, are based on the assumption that textile is not a good business, which is a comment made by Warren Buffett. However, it is pertinent to note that these comments were made by Buffett for US textile industry in a different setting. You would also appreciate that industries do not face the same environment in India and US. Many industries die in US only because the work shifts to India & other emerging markets (outsourcing). Therefore, I believe that an investor should do rely on her own analysis and rely on it, even if it might seem in contradiction to what great investors might have said in different settings. I also remember Peter Lynch when he said: Moderate fast growers (20-25%) in non-growth industries are ideal investments. Whether Ambika would prove to be a good investment, we would come to know only in future. However, I would suggest that you should give more weightage to your own analysis. Hi Vijay. You hold Ambika cotton and I tried to research about the company business. I was not able to gather much information about it. 60% of the revenue comes from the export and they export yarn for Premium shirting segment. Buffet says buy wonderful businesses. How can we confirm that Ambika business is wonderful business? How to do Business Analysis of a Company? I am happy if any company meets these criteria. Ambika met these criteria as mentioned in my article on Ambika Cotton. You may get further information about company business either from company & its management or from publically available sources. I guess that you would already have gone through the annual report and other documents available at ACML website. If not, then please go through them. Then you should search internet about the articles and opinions other investors have written about ACML. You would find a good discussion going on about ACML on Valuepickr forum. 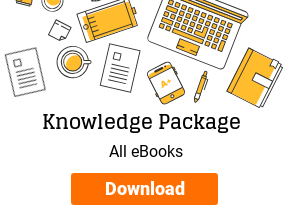 If after reading all these sources, you still feel that you require more information for taking investment decision, then you may contact the management. Dear Vijay. I like your post. I have one question on your analysis. You did not mention EPS growth. Don’t you think that it will be part of analysis? What I found out that in many years there was (-) growth for EPS in screener. On similar lines, how do you track even if a company growing but its share count is increasing, which has happen to many companies? If there is no equity dilution year on year, then EPS growth and net profit growth would represent one and the same thing, whether the no. of shares remain the same or increase due to split or bonus shares. In such cases, the % ownership of existing shareholders remain the same. However, these two would not remain same if no. of shares increase due to issuance of new shares which reduces the % shareholding of existing shareholders. In such cases from investor’s perspective, EPS growth would be more pertinent than Net Profit Growth. However, in both these cases, net profit would retain its significance in terms of profitability margins and the attractiveness of the business. In Ambika the share capital has been constant from 2006 till date at INR 5.88 cr. Dear Sir. After the recent sharp run up of the stock, do you think fresh entry can be made at this level? Entry price criteria differs from investor to investor. The fact that trading is happened in Ambika Cotton today, means that there were people buying it at today’s prices. Hi Vijay, Thanks for your detailed analysis and sharing your knowledge. I need 3 clarifications from the above analysis. in current assets (CA) you showed ₹165cr, but my calculations shows it as ₹142Cr. (Inventories 133 + receivables 6 + Cash 3, all data’s from Screener.in), could you help me where I am missing? from where to get the historical current liabilities (CL)? I am getting only the current CL from screener.in as ₹125Cr. While comparison with peers, what is the key factor other than M-Cap to select a company as peer? Your guidance will be more helpful on this. Data for CA & CL has been taken from money control. Current assets have been calculated as total current assets including short term loan & advance (₹23.5 cr). You may find it at moneycontrol site. You can get CL data from the moneycontrol website. Screener does not provide separate data for CA & CL. In addition to market capitalization, you may consider comparing peers based on annual sales turnover, total asset size of the balance sheet and though not very commonly used but based on installed capacities. Hope it helps to clarify your doubts. Hi Vijay, You have conducted a fantastic analysis and obviously it is needless to say that your stock selection approach is very much in-depth and comprehensive. There have been a lot of positives pointed out by you in Ambika Cotton Mills Ltd and agree to all of them. However, I was just thinking from a skeptical angle about the asset turnover ratios and the replacement rate of machines required. As on 31st March 2015, Ambika Cotton Mills Ltd had fixed assets worth ₹270 cr against which it clocked a turnover of ₹483 cr which turns out to be 1.79 times. My understanding is that generally low asset turnovers should be backed by higher margins and higher barriers to entry. I am clear that margins of Ambika Cotton Mills Ltd are very superior but not too sure about barriers to entry (both of which are satisfied by Vinati Organics Ltd, which is again a low asset turnover business with high margin and high barriers business). Also the asset turnover, which I am counting is after the depreciated value. Let’s do a case with a new capital expenditure. If and only if it’s a relatively easy business to enter, then let’s try to extrapolate it to a situation of a moderate business cycle with the recently announced capex plan of ₹130 cr. This gives an ROCE of 20.88/130 = 16.06%, which is still not bad. However, only concern is what if the capacity utilization or margins fall further. Then I think return ratios could become shaky. There is a primary assumption that the competitive intensity increases or capacity utilization goes down because of lower demand or even both may happen together. If possible, can you highlight whether Ambika Cotton Mills Ltd enjoys any specific business entry barrier and why a new player would not enter such a high margin lucrative business? Why would Ambika Cotton Mills Ltd be so confident of further demand in a relatively mature market and weak business climate around the world? The recent capex announced is 50% of the fixed assets. I appreciate the time & effort put in by you to provide your detailed inputs with the assumption and scenario building. It is helpful for other readers as well. I understand that primary concern that you have is about entry barriers/business advantage/moat for Ambika Cotton Mills Ltd. I had presented my views on the same while answering to the query of “Rohan” on the current article. You may find his query and my reply in the comments below. Deciding about moat can be two way process. It is like finding the best student in the class. One may check all the students for their IQ, analytical skills etc. and find out which students are the best and decide that these students have moat due to xyz qualities. Or one may check the past results and see that certain student(s) have consistently topped/been in top performing students year on year in past exams (published annual financial results) and decide that consistent performing students have moat. I take the second approach. I was also impressed by the seemingly different export profile of Ambika Cotton Mills Ltd and your concerns (which are good observations, in fact) lead me to believe that Ambika has a moat. About change in competition and business environment, I believe that it has been changing ever since and will keep on changing in future as well. However, it is job of the management to deal with it. If we as investors, associate with right management, then we can rest assured that competent management will take appropriate steps to tackle such challenges. I believe that Ambika Cotton Mills Ltd has a competent management. First of all huge thanks and congratulation for finding a gem like Ambika Cotton Mills Ltd. Your analysis technique is really good and I have learnt a number of new things by reading your articles like comparing cumulative PAT with cumulative CFO. 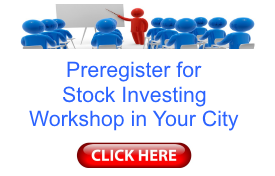 I don’t have any specific stock related query but want to know more about your stock finding technique as at the current level of market it’s very difficult to find a new value investment by just screening. It would be better to look for the different business stories like you did in Ambika Cotton Mills Ltd. I read your article How to do Financial Analysis of a Company where you talked about your technique. Can you tell me specifically which magazines/TV shows/blogs have better content than others and should be followed or which magazine do you read regularly where author/host talks about the overall business rather than stock as it is very difficult to read the whole annual report and analyse the business over web to check the quality of every business to find a good investment. I will be very thankful if you can write an article about this on your blog and can discuss about the how you found Ambika Cotton Mills Ltd. Opportunities are always there in markets. However, during times of optimism, the search gets tougher and longer. Nevertheless, an investor should keep looking till the time she finds a good opportunity. I read a few newspapers and magazines. But they have never led to a stock find. I have noticed that by the time a stock makes to media like newspaper & magazines, it has already grown and run a lot. Market has already realized and factored in a lot of future growth by then. Therefore, an investor should try to grab a stock before it makes to frontline media. Stock filtering screeners work perfectly for such cause as they give results without bias. Reading annual report is necessary for any investor to understand business. It might seem cumbersome at the onset; however, reading annual report provides an investor to have her own original thoughts about the prospects of a company. I agree with many investors say that it is difficult to make huge wealth in stock markets with borrowed wisdom. Therefore, an investor must do her original analysis and reading annual report is the first step in this direction. 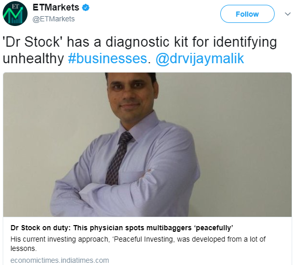 I would suggest that you should rely more on your own inferences after reading annual report than analysis presented in various newspaper, magazines or blogs (like drvijaymalik.com). Excellent article. Many thanks for sharing your knowledge with us. However, while analyzing companies with this new framework, surprisingly the SSGR for Ambika Cotton Mills Ltd is in negative or in very low single digits! Could you please explain how an exceptional company like Ambika Cotton Mills Ltd can have such low SSGR? I have checked and cross-checked the screener sheet for any calculation errors. If we analyse the ROE through Du Point analysis, Ambika Cotton Mills Ltd has exceptionally improved its operating efficiency despite the declining equity multiplier. I believe that this makes Ambika Cotton Mills Ltd as part of section C of your article, with difficulty in maintaining sustainable growth going forward. You are right. Ambika Cotton Mills Ltd falls in part C. It has improved its inventory turnover as well as receivables days and has managed to reduce its debt and fund its growth by improving its operating efficiency. Congratulations for your understanding the concept and applying it correctly in analysis. Dear Sir, a question on Nitin Spinners and Ambika Cotton Mills Ltd. Compared to Ambika, Nitin spinners has similar margin, bit better sales & Capacity. Yet market cap of Ambika Cotton Mills Ltd is greater than Nitin Spinners. Any reason? I am missing something? May be like management issues, although I could not see them. Can you advise what could be the reason? Hi, I believe that any attempt to explain the market valuation of any company or the difference in market capitalization of two companies is mere guess work. It is always uncertain what factors market might be weighing at any point in time. Ambika Cotton Mills Ltd as well as Nitin Spinners, both have been analyzed in different articles on the website. Request you to go through those articles and do your own analysis to arrive at the potential explanation for difference in market capitalization of these two companies. You are most welcome to share your comparative analysis and observations with the readers and the author of this website. The management analysis section earlier described that Mr. P. V. Chandran is also a whole time director on board of Mathrubhumi. “Shri P.V.Chandran Chairman and Managing Director of Ambika Cotton Mills Ltd is in no way connected or associated with the Malayalam language newspaper Mathrubhumi . This Clarification is issued consequent to incorrect information appearing in the media ( i.e in Bloomberg) that he serves as a Wholetime director of the said newspaper and it appears that it is inadvertent on account of the fact the name of the two individuals are identical”. In light of the above clarification, the relevant section of the management analysis section has been edited accordingly. I would like to know about your feedback about this analysis. It would be great if you could share your stock selection approach. It would be a good learning for the author and other readers. You may put your inputs in the comments below or contact me here. You may find other stocks in my portfolio here. You may ask your queries related to stocks & investments here. I have used data from www.screener.in, www.moneycontrol.com, ACML’s website & annual reports while conducting this analysis. Currently, I own shares of Ambika Cotton Mills Ltd, Mayur Uniquoters and Vinati Organics in my portfolio.